Let's Dance Club in Indiana, Beautiful Feet Dance Ministry, Academy of Indianapolis Ballet, are just a few of the dance companies, Indiana dance schools, dancing organizations and dance wear suppliers that that can be found in our comprehensive Directory of Indiana Dance Companies. Learn ballroom dance at the Let's Dance Club. 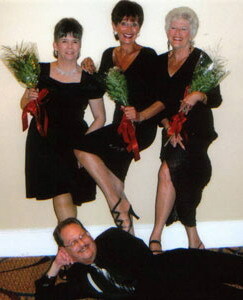 Located in Indianapolis, the Let's Dance Club has been teaching ballroom dance for over 27 years. Learn Swing, Tango, Fox Trot, Samba, Salsa, Waltz, Cha Cha, Mambo, Rumba, and more. Dance is Magic... it transforms your feelings, attitudes, goals, self image, and your life. It motivates, disciplines, encourages, amuses, excites, calms, refreshes, enchants, and relaxes. Let's Dance Club is an exciting club concept offering expert dance instruction, a variety of dance programs and memberships to fit every budget. As a school we teach you to dance with the best of them and as a Club we provide you with the best of them to dance with. We feel that we have one of the finest teaching systems in the country. We use the interrelated award system, which is teaching the relationship between several dances, patterns, and dance concepts. This has been Proven to be the Fastest Way to make you a good and versatile social dancer. Our club has taught thousands of members since 1978 to become excellent dancers using this Award System. There are many fine dance schools in Indiana. I know I am in contact with them as we supply a range of high quality dancewear products like leotards, dance pants, dance dresses and other dancing apparel. Bangkok Companies supplies an amazing range of dancewear from Thailand. I have looked at these dance garments and dance accessories in detail. There is only one word to describe them Superb. For more details click on the pictures or send an email to bangkokcompanies@gmail.com We regret at this time we can only satisfy Indiana wholesale dancewear requests. P.O. Box 55915 IN 46220 Indianapolis, Indiana U.S.A.
4600 Sunset Ave. IN 46208 Indianapolis U.S.A.
3669, Lakeshore Drive 46506 Bremen, Indiana U.S.A.
Dance Training-Bently Stone, Walter Camryn, Rosemary Doolas. Style is eclectic in ballet, jazz, modern. Director of Co-Arts Productions, dances as a soloist ,dances abroad with Fountainhead Tanz Theatre. 100 N. Jordan Ave , MAC 308 IN 47405 Indiana U.S.A.
55 South Jackson Street Fl 2 IN 46041 Frankfort, Indiana U.S.A.
502 North Capitol Avenue # B IN 46204 Indianapolis, Indiana U.S.A.
Dance Department IN 47306 Muncie, Indiana U.S.A.
206 West Ireland Road # A IN 46614 South Bend, Indiana U.S.A.
3111 North 1st Avenue IN 47710 Evansville, Indiana U.S.A.
3900 Industrial Boulevard # 1 IN 47403 Bloomington, Indiana U.S.A.
51 South Tennessee Street IN 46122 Danville, Indiana U.S.A.
1553 Commerce East Drive IN 47240 Greenburg, Indiana U.S.A.
4609 North Capitol Avenue IN 46208 Indianapolis, Indiana U.S.A.
8390 East 109th Avenue IN 46307 Crown Point, Indiana U.S.A. IN 47405 Bloomington, Indiana U.S.A.
628 Main Street IN 47901 Lafayette, Indiana U.S.A.
130 West Jackson Street Fl 2 IN 47305 Muncie, Indiana U.S.A.
State Road 48 IN 47041 Sunman, Indiana U.S.A.
502 North Capitol Avenue, suite B IN 46204 Indianapolis, Indiana U.S.A.
3214 South Michigan Street IN 46614 South Bend, Indiana U.S.A.
502 North Capitol, Suite B IN 46204 Indianapolis U.S.A.
324 Penn Avenue IN 46805 Fort Wayne, Indiana U.S.A.
211 South 6th Street IN 47901 Lafayette, Indiana U.S.A.
29 East Dillon Street IN 46016 Anderson, Indiana U.S.A.
Ballet Dept. Mac 306, School of Music IN 47405 Bloomington, Indiana U.S.A.
Morrison Hall 005, 1165 E 3rd St IN 05 Bloomington, Indiana U.S.A.
900, Bay Pointe Dr. IN 47401 Bloomington, Indiana U.S.A.
1025 E. 7th Street IN 47405 Bloomington, Indiana U.S.A.
Department of Anthropology IN Bloomington Indiana U.S.A.
2534 East 3rd Street IN 47401 Bloomington, Indiana U.S.A.
233 South Pete Ellis Drive # 14 IN 47408 Bloomington, Indiana U.S.A.
108 1/2 East Kirkwood IN 47408 Bloomington, Indiana U.S.A.
4070 West Gifford Road IN 47401 Bloomington, Indiana U.S.A.
108 1/2 E. Kirkwood Avenue #5 IN 47408 Bloomington, Indiana U.S.A.
1702 South High Street IN 47401-6746 Bloomington, Indiana U.S.A.
8236 S. Mt. Zion Road IN 47403 Bloomington, Indiana U.S.A.
Jewish Community Center, 6701 Hoover Road IN 46260 Indianapolis, Indiana U.S.A.
4603 Clarendon, Road Room 32 IN 46208 Indianapolis U.S.A.
PO Box 68280 IN 46268-0280 Indianapolis, Indiana U.S.A.
2640, East 62nd St. 46220 Indianapolis, Indiana U.S.A. Teaching Ballroom, Latin, Swing and Salsa -Private and Group lessons - weekly practice dance parties - Teaching beginners through competitive dancing. Box 19725 IN-24201 Indianapolis U.S.A.
1221 Country Club Road IN 46234 Indianapolis, Indiana U.S.A.
5502 East 82nd Street IN 46250 Indianapolis, Indiana U.S.A.
8902 Saint Peter Street IN 46227 Indianapolis, Indiana U.S.A.
4263 Lafayette Road IN 46254 Indianapolis, Indiana U.S.A.
8506 East Washington Street IN 46219 Indianapolis, Indiana U.S.A.
2502 Lake Circle Drive IN 46268 Indianapolis, Indiana U.S.A.
5131 West Thompson Road IN 46221 Indianapolis, Indiana U.S.A.
10295 East 59th Street IN 46236 Indianapolis, Indiana U.S.A.
723 B. Broadripple Avenue IN 46254 Indianapolis, U.S.A.
5002 Madison Avenue IN 46227 Indianapolis, Indiana U.S.A.
8240 Indy Lane Fl 1 IN 46214 Indianapolis, Indiana U.S.A.
6901 East 10th Street # E IN 46219 Indianapolis, Indiana U.S.A.
5062 East 10th Street IN 46201 Indianapolis, Indiana U.S.A.
7410 Madison Avenue IN 46227 Indianapolis, Indiana U.S.A.
2344 East Stop 11 Road IN 46227 Indianapolis, Indiana U.S.A.
7135 Southeastern Avenue IN 46239 Indianapolis, Indiana U.S.A.
921 Southwood Drive IN 46227 Indianapolis, Indiana U.S.A.
3125 East Thompson Road # A IN 46227 Indianapolis, Indiana U.S.A.
10159 East US Highway 40 IN 46231 Indianapolis, Indiana U.S.A.
5255 North Tacoma Avenue # 3 IN 46220 Indianapolis, Indiana U.S.A.
10605 Deme Drive IN 46236 Indianapolis, Indiana U.S.A.
3410 North Shadeland Avenue IN 46226 Indianapolis, Indiana U.S.A.
2210 East Southport Road IN 46227 Indianapolis, Indiana U.S.A.
925 East Castle Avenue IN 46227 Indianapolis, Indiana U.S.A.
6024 East Washington Street IN 46219 Indianapolis, Indiana U.S.A.
533 East Westfield Boulevard IN 46220 Indianapolis, Indiana U.S.A.
4658 Hinesley Avenue IN 46208 Indianapolis U.S.A.
402 W Washington Street, Rm W072 IN 46204 Indianapolis U.S.A.
6213 La Pas Trail # 200 IN 46268 Indianapolis, Indiana U.S.A.
6462 Oaklandon Road IN 46236 Indianapolis, Indiana U.S.A.
822 East Mills Avenue IN 46227 Indianapolis, Indiana U.S.A.
1010 East 86th Street IN 46240 Indianapolis, Indiana U.S.A.
5253 Traditions Drive IN 46236 Indianapolis, Indiana U.S.A.
2640 E 62nd Street IN 46220 Indianapolis, Indiana U.S.A.
4600 Sunset Boulevard IN 46208 Indianapolis U.S.A.
6162 Hillside Avenue IN 46220 Indianapolis, Indiana U.S.A.
8091 Crawfordsville Road IN 46214 Indianapolis, Indiana U.S.A.
4263 Lafayette Road IN 46254 Indianapolis U.S.A.
5144 Boulevard Place IN 46208 Indianapolis, Indiana U.S.A.
401 East Michigan Street IN 46204 Indianapolis, Indiana U.S.A.
4600 Sunset Avenue IN 46208 Indianapolis U.S.A.
4600 Sunset Avenue IN 46208-3485 Indianapolis, Indiana U.S.A.
437 E. Berry, Suite 203 IN 46802 Fort Wayne, Indiana U.S.A.
3824 East State Boulevard IN 46805 Fort Wayne, Indiana U.S.A.
6105 West Jefferson Boulevard IN 46804 Fort Wayne, Indiana U.S.A.
6742 East State Boulevard IN 46815 Fort Wayne, Indiana U.S.A.
2604 Lower Huntington Road IN 46809 Fort Wayne, Indiana U.S.A.
3416 North Anthony Boulevard IN 46805 Fort Wayne, Indiana U.S.A.
2413 Thompson Avenue IN 46807 Fort Wayne, Indiana U.S.A.
5728 Maplecrest Road IN 46835 Fort Wayne, Indiana U.S.A.
2412 Getz Road IN 46804 Fort Wayne, Indiana U.S.A.
6728 East State Boulevard IN 46815 Fort Wayne, Indiana U.S.A.
111 North McCreary Street IN 47648 Fort Branch, Indiana U.S.A.
1401 Broadway IN 46802 Fort Wayne, Indiana U.S.A.
7320 Saddleback Court, #1D IN 46804 Fort Wayne, Indiana U.S.A.